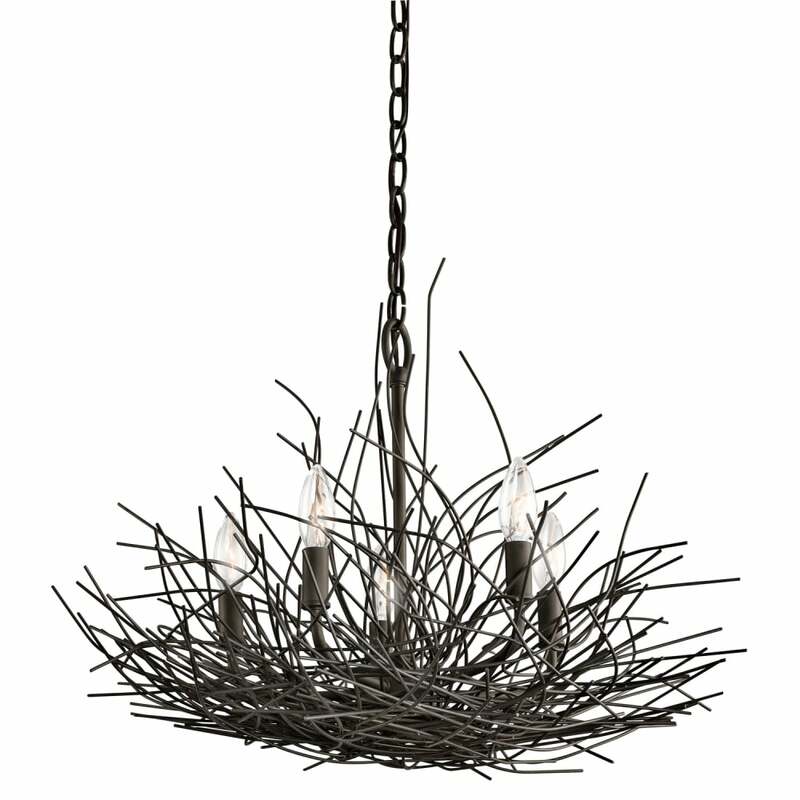 A decorative and unique design 5 light chandelier in an old bronze finish, the light features a wire nest structure which gives a feeling of nature brought inside. The light is suspended on a chain suspension which can be shortened at the point of installation making it suitable for use in rooms with lower ceilings. It is also suitable for use on a dimmer switch providing the bulbs used are also dimmable. Cable / Chain Length: Supplied with 1829mm of chain.